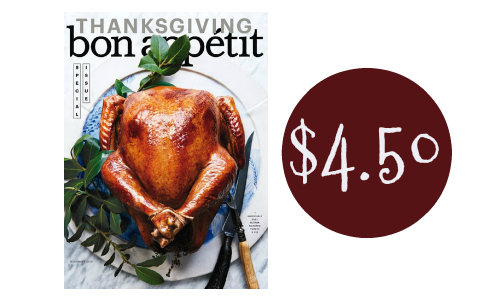 A great deal on Bon Appetit magazine starts today! Order a subscription for $4.50. Enter the code: SOUTHERNSAVE to get this price. This includes free postcard delivery. Bon Appetit features recipes from a wide range of cultures and tutorials on new cooking styles. Bring an entire world of new cuisine to your dinner table!